GP Petroleums, a leading lubricant manufacturer which is also a part of UAE-based Gulf Petrochem Group, has launched Repsol’s fully synthetic Passenger Car Motor Oils (PCMO) in India. GP petroleum has an exclusive licence agreement with Repsol S A, Spain to manufacture and market ‘Repsol’ brand of lubricants across the nation. Cricketer Suresh Raina earlier this year had launched the ‘Repsol’ brand in India. The PCMO range follows the successful launch of Repsol’s Motor Cycle Oil, which is also available as a world-class fully synthetic product that goes by the name of ‘Repsol Elite NEO XTI 5W-40’ and premium car engine oil ‘Repsol Elite NEO 5W-30’ in the Indian market. 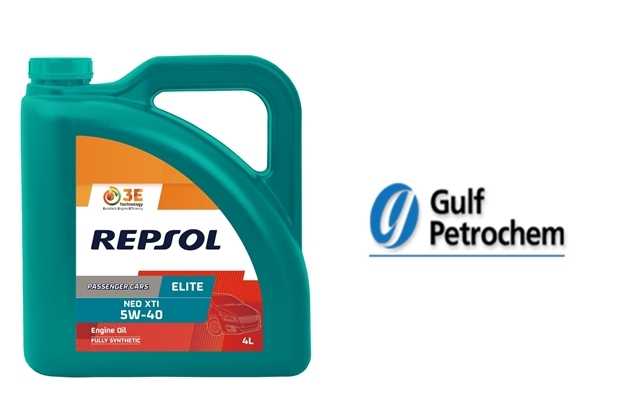 The two products launched by Repsol are the 'Elite NEO XTI 5W-40' and 'Elite NEO 5W-30'. The NEO XTI 5W-40 is a fully synthetic product which is known for its high-performance levels and allows optimized performance along with longer drain intervals, excellent soot dispersion, anti-wear, anti-corrosion properties & viscosity stability in extreme conditions. On the other hand, the NEO 5W-30 is a premium engine oil which allows better performance with fuel economy. These oils help in lowering the CO2 emissions into the atmosphere, thereby reducing the environmental impact. Hari Prakash, CEO, GP Petroleums said “The encouraging response to the REPSOL brand, we got from consumers, motivated us to launch the passenger car motor oil (PCMO) range in quick succession. We have aggressive plans for bringing in the complete range including synthetics in Motor cycle, Passenger Cars, and Commercial Vehicle space very soon. Our ambition is to be a significant player in the premium segment in India, which is one of the fastest growing markets.” Repsol lubricants are developed at a state of the art global R&D centre in Spain. The lubricant caters to the newly emerging premium and top-end segments. And from now on, GP Petroleums will be producing this premium product in their manufacturing plants in India, with modern testing facilities certified by Repsol S A, Spain.